Indy Honeycomb’s mission is to make honeycomb—engine components that ensure gas flows efficiently—easy to buy. They strive to generate real process improvement in the market availability of reasonably priced, technically sound honeycomb products. 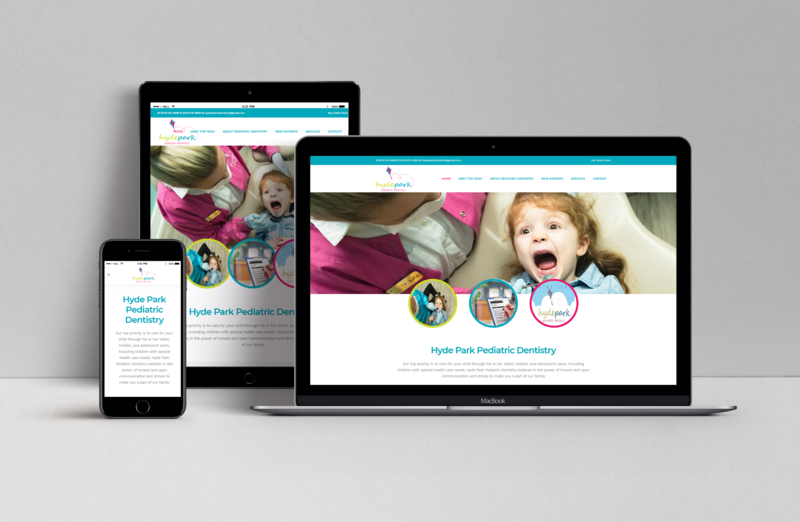 Indy Honeycomb had initially invested in a WordPress site with a different web design company. Unfortunately, that company did not offer mobile or responsive design. 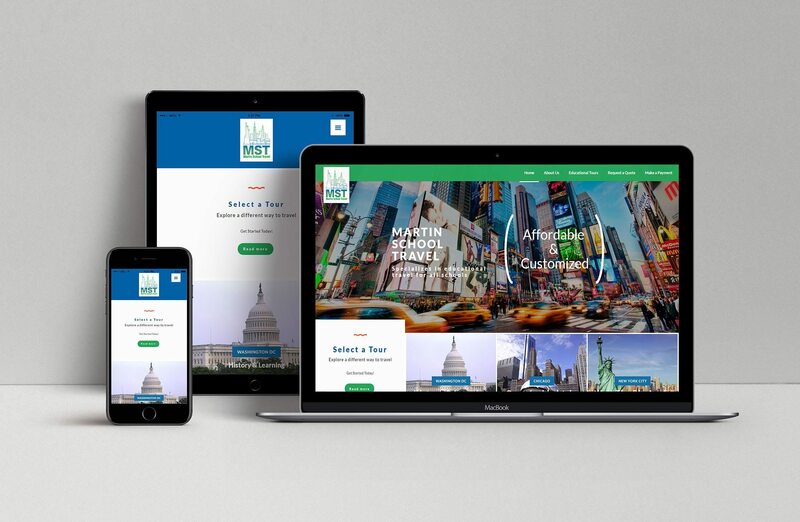 Because of the importance of responsiveness in today’s online world, they came to webFEAT to redesign the site and port over all the content. 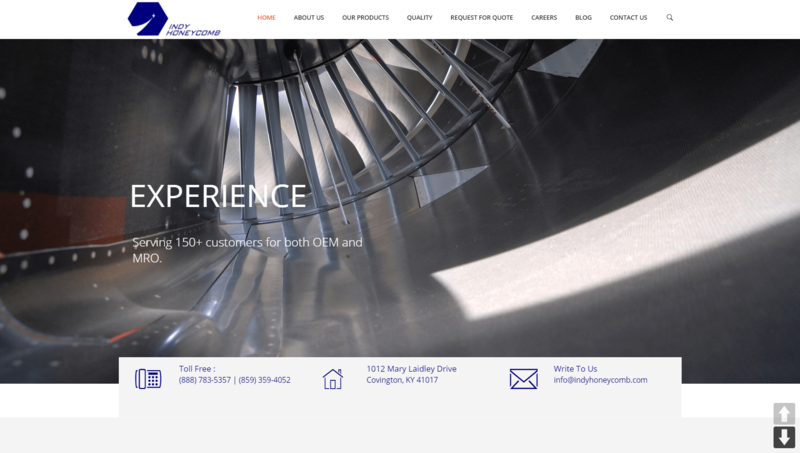 We completely redesigned Indy Honeycomb’s site to add the functions that their previous web designers left out. Fortunately, it was simple to port over the content to the new design. After the content was ported, we continued to tweak it and further improved the company’s rankings. A large, scrolling slider with high-quality backgrounds sits at the top of the homepage. The slider displays the company’s core values and gives users an immediate glimpse into the business. 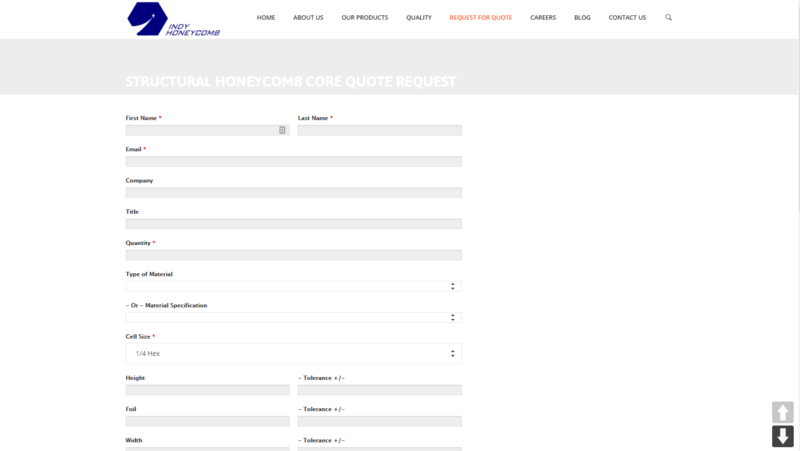 A massive “Request a Quote” page has every bit of information that a user could want when deciding to order a honeycomb. 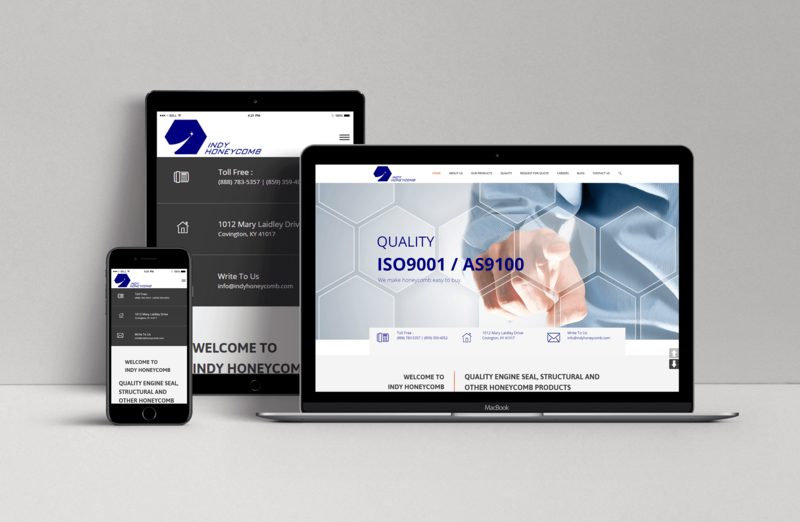 This showcases Indy Honeycomb’s attention to detail and their dedication to making sure every customer is satisfied. 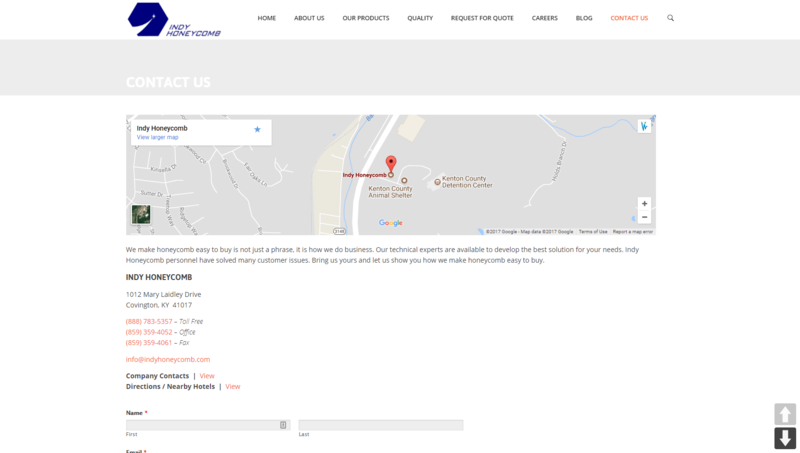 Not only does Indy Honeycomb’s contact page make it easy for users to get in touch with the business, but it also features an interactive map centered on their location. 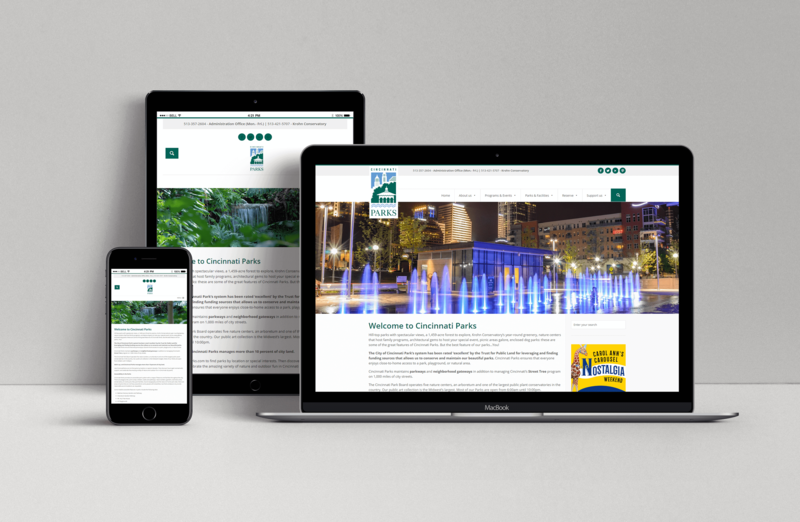 This gives a sense of place to the business and connects the website with the company’s physical location.